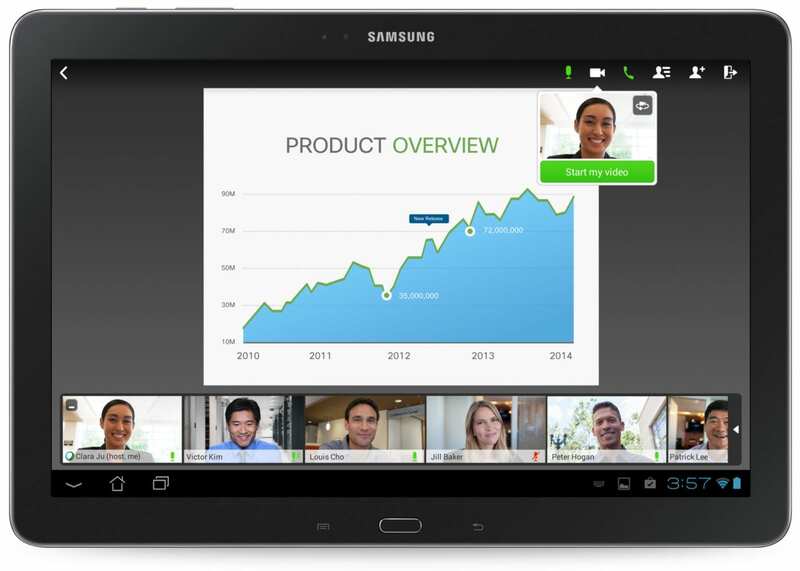 Today Cisco formally announces its latest release of WebEx. It is hard to believe that WebEx dates back to 1996. Cisco acquired the conferencing company back in 2007. It’s also hard to believe that it has taken this long for web conferencing to move into the mainstream. Actually, that last line should be revised. With this latest update, Cisco wants to eliminate the distinctions between audio, web, and video conferencing. I agree. I wrote “Embrace Video” because I think video should be the norm. And by video, I mean the full stack. Video without a web interface is just silly. Dial-in voice conferences were fine for discussing the Bay of Pigs, but not the Arab Spring. It is a multi-modal, multi-device world – and it’s time to stop imposing silly restrictions like you must use video even though you are driving, or you must use audio even though are at your brightly lit desk with a camera. Cisco wants the world to consider WebEx for “conferencing,” and that its internal organizational structure won’t be so visible moving forward. This is inline with Cisco’s commitment to the customer experience. That mantra began publicly about a year ago. Luckily, Cisco has more to announce because the all-in-one isn’t competitively unique. Actually WebEx announced telepresence support well over a year ago. So if you are asking ‘Where’s the beef?’ keep reading. Cisco added video bridging to the back-end. That means, that WebEx can do alone what many folks have turned to Blue Jeans or Vidtel (acquired by Fidelity) to do in the past. That is to bridge multi-vendor room systems. This is a nice development, but I am not clear if the service works just between room systems or if someone has to be on WebEx. Blue Jeans declared war on Cisco about a year ago, so the behemoth has finally responded in kind and it’s going to leave a mark. Most of the video room system vendors have been positioning their MCUs to address interop and multipoint conferencing. The tide is turning and the MCU is headed to the cloud. My favorite part of the WebEx news is the new positioning of the Personal Meeting Room (PMR) for persistent video. A PMR is basically the same as reservationless audio conferencing. Rather than schedule and book a conference – just create one on the fly with a unique address. A PMR is a virual meeting that requires your attendance. It can be expensive to create this with premises-equipment, but port management becomes much easier with large scale (cloud) implementations. The room and link are persistent, but that’s not what is meant by persistent video. What is truly new and powerful is the suggestion that the PMR be used without a meeting – a ‘build and they will come’ concept. In a real office, we tend to leave our door open to signal availability, so how is that best recreated for virtual/distributed teams? The assumption was presence, but it’s inherently flawed. Most presence systems determine availability by keyboard activity which makes little sense. I’ve seen a few startups that are now determining presence on motion through the video camera – it’s an interesting twist. Cisco thinks that a PMR and persistent video can be the new open door. “If you need me, just pop in my room. Of course, there will be times were the person isn’t truly available, but that’s no different than a real open door. Persistent video changes the math on port consumption, so Cisco does charge more for the service. 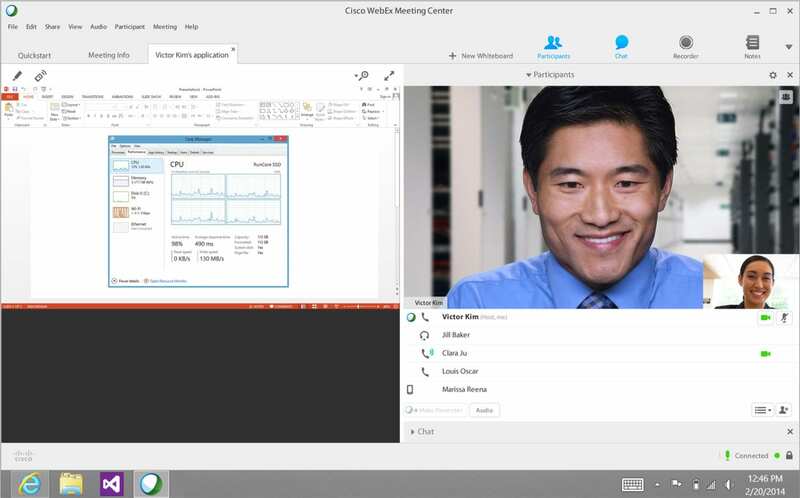 Cisco also updated the WebEx design. I am not familiar with it enough to provide a comparison or testimonial, but it does look clean and logical now. I am not convinced that the improved user interface will accomplish the elusive goal of starting video meetings on time. I’ve been doing a lot of video and I now better understand the 15 minute ‘delay of game’ issue and its consistent across platforms. I believe I know the solution, and I haven’t seen it yet from any vendor. That post coming soon. One might ask why big iron Cisco is updating the service. 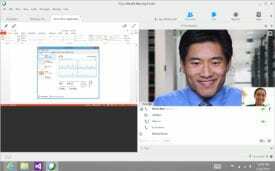 WebEx is Cisco’s only UC SaaS – at least officially, and cloud is important. Cisco needs to tread lightly here as many of its partners have spent big bucks on HCS systems, so Cisco can’t just turn around and compete with them – but failure to do so may have even bigger consequences. Cisco is making lots of ambiguous noise about Intercloud. Intercloud is a little bit of everything (including a lot of iron). I expect that Intercloud will mean a dramatic increase in SaaS over time. In about 5 weeks is the 2014 Cisco Collaboration Summit – I am looking forward to it. This year Mr. Chambers will be there himself – no doubt he will officially announce his retirement at the event and name Rowan to be his successor.